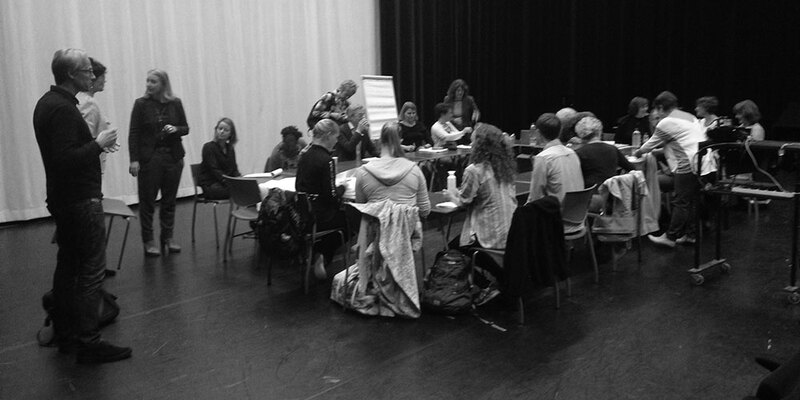 Kick Off NEXT MOVE at ArtEZ, Arnhem, Netherlands on 20-23 September 2015! The KICK-OFF meeting of the project NEXT MOVE was held in Arnhem, in September 2015. The three partners of NEXT MOVE, DOCH – a part of Stockholm University of the Arts – from Stockholm, Sweden, RAMA from Arhus, Denmark, and ArtEZ from Arnhem, The Netherlands, came together to officially start this three year project, aimed at redefining the profession of the dance teacher, and in the case of RAMA, of the music teacher as well. – The meeting started with a get together of one day, of the project coordinators in the 1st TransNational Meeting. The project teams of all HEI’s/University attended part of the meeting. The financial managers of the project came to Arnhem too. The main topic was to come to agreements about the responsibilities of each partner, project management, working method, and control of the process. Time sheets, schedules, and other practicalities were shared and elaborated. Exact dates of skype meetings, and meetings in the others cities were planned, plus the ideas about the first time students and teachers would work together with the other countries’ researchers and students were shared. – The meeting also functioned as a kick off for the teacher/researcher part: the content of the project was addressed, the several research parts of the first year were discussed and confirmed. The project teams were shown around the school, have seen some presentations of students of ArtEZ, and had a meeting with the director of the Faculty of Theatre and Dance of ArtEZ. – The third part was a meeting with the work field of the Netherlands, focusing on the research that is central in the first year. About 15 persons, all working in the field of teaching dance in several situations (schools, secondary school, working with boys, etc), both from Arnhem, the region, the country and even one from Germany had been sent questions about what they are currently doing and what they expect of the project. In an interactive workshop small groups were formed and discussed the answers the work field had sent in. This method, introduced by the Danish partner, created a lively discussion between the 15 guests and the project teams of ArtEZ, DOCH and RAMA. Not only the three institutions came to learn more about the Dutch work field, its challenges and qualities, but the work field also got new insights in each other’s visions. 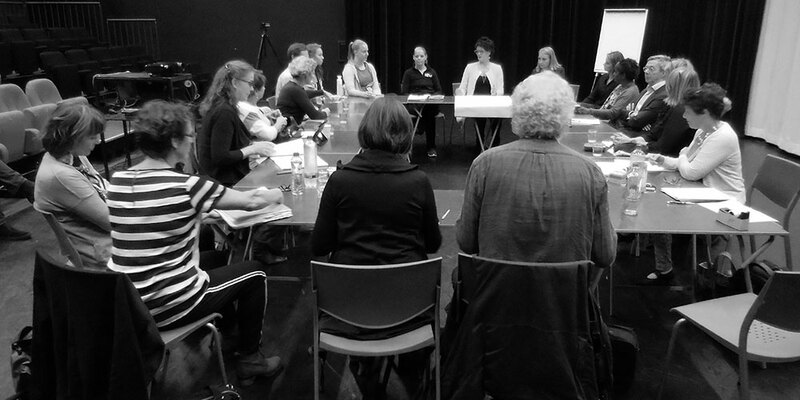 And the work field also got connected to the project plan: some of the participants sent in written information about their experiences too, good material for the research of the position of the dance teacher The Netherlands. The project will last until end of August 2018.